Boeing 707-338C VH-EBR City of Wollongong at Mauritius during a proving flight to South Africa in March 1966. 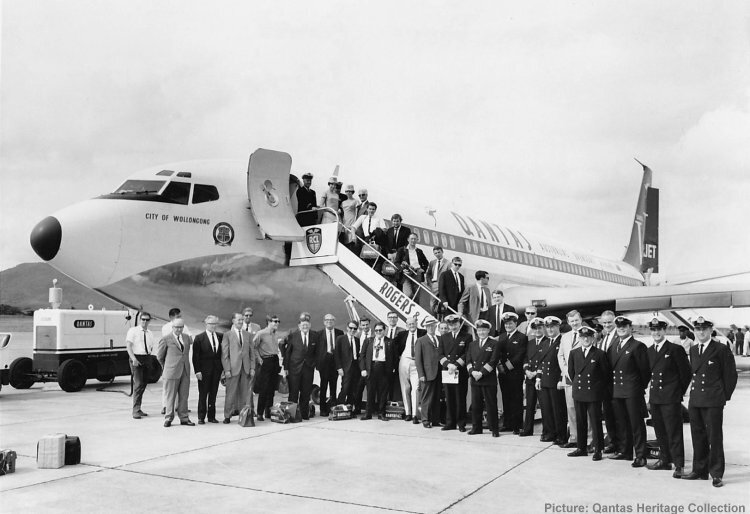 A print of this image from the collection of Captain Jock Ross is endorsed to the effect that it was taken on arrival at Mauritius from Perth on 7 March 1966. 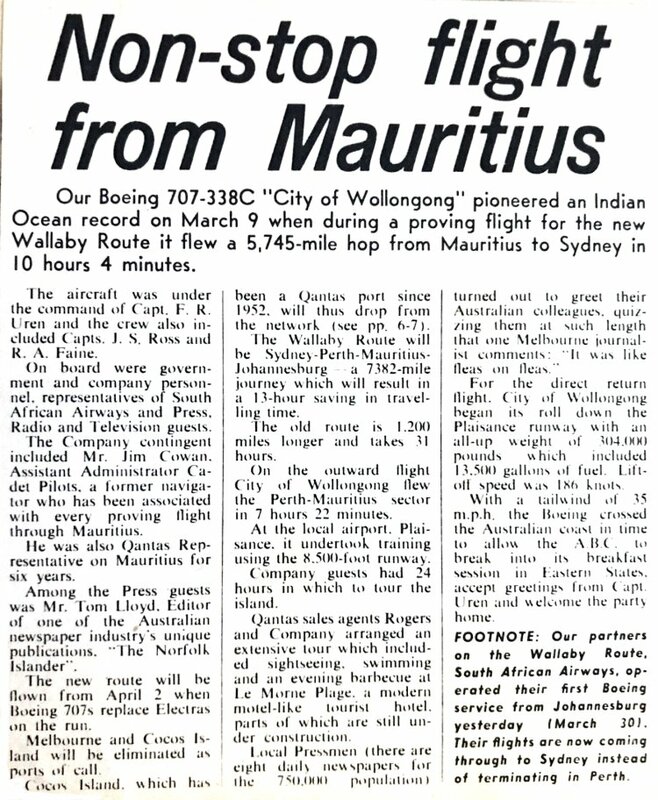 The following cutting from Qantas News comes from the collection of Captain Jock Ross sourced by Greg Weir.